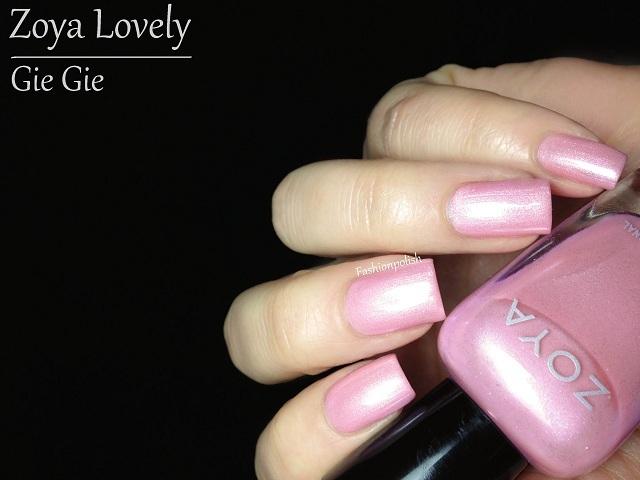 Zoya Jacqueline is a very pale cream with warm hints. Its a really nice alternative to regular nudes or off-whites and I can see it complimenting a lot of skin tones. Zoya Neely is a very warm base pastel green creme. I've had a hard time photographing it as it tended to lean mint but it's much more yellow based than your regular mint. I'd say these swatches are pretty close to real life. Zoya Blu is very pale pastel blue creme. It's really soft looking and I loved wearing it. It reminds me of a peaceful sky in the country. Zoya Piaf is a really unusual mustard-looking yellow metallic shimmer. It's the most saturated color of the collection but it still works with the others. Zoya Gie Gie is a blue based pink metallic shimmer. It's very close to OPI Pedal Faster Suzi from the Holland collection but I'd say it's slightly brighter. 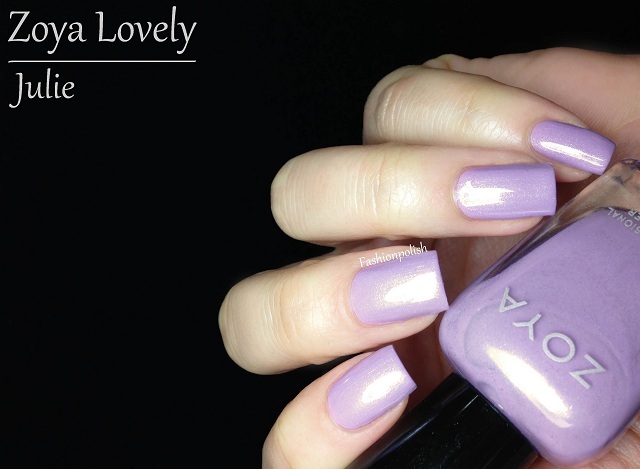 Zoya Julie is another shimmer metallic, warm base pastel lavender this time. I literally loved wearing it and if you love pastel purples, you definitely need this one. The cremes wereparticularly manageable with very good opacity and almost non existent streaks. I used 2 not-so-careful coats in all of these swatches and you'd probably need 2 medium to 3 thin coats for complete coverage. The shimmers applied really nicely in 2 coats and reached full opacity with no issues whatsoever. I do love this collection very much even if I'm not the biggest pastel lover : they all go so well together! Beautiful swatches! My favorites have to be Neely, Blu, and Julie! 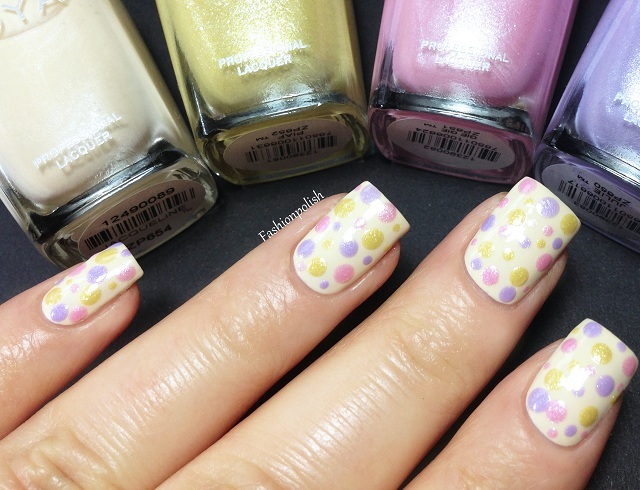 Pastels are perfect for spring and summer! Great review! I almost love every one, they're gorgeous and I really long for the spring!! Absolutely gorgeous - wish there was a Zoya store here! At first, I wasn't impressed but after your swatches I love 'em all. The dots are gorgeous. Several of these are lovely, but I don't feel the need to rush out and buy/order them. I kind of feel that these colors have been done... a lot.